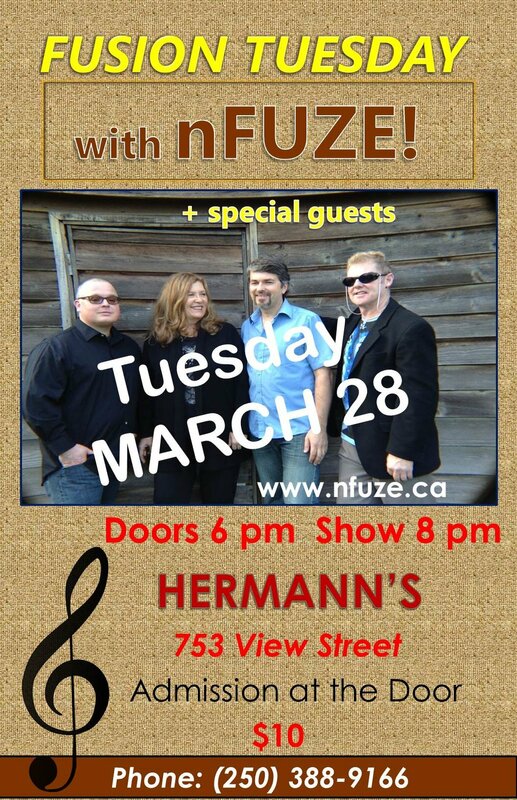 nFuze will perform exciting original fusion pieces as well as interpret covers by greats such Pat Metheny, Billy Cobham, Jean-Luc Ponty, and more. 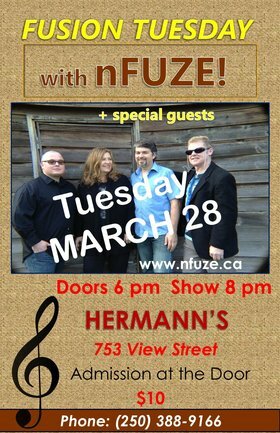 nFuze consists of Dean Wolfe on guitar, Andy Okell on drums, Sheldon Bordal on bass and Dee Cooper on Keyboards. 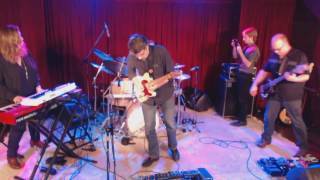 Plus Special Guests!